The GreatHouse team is talented, hard-working and we have a ton of fun! We encourage a healthy balance between life and work, so we can all spend time with our family and friends, be involved in our kids’ activities, and help our community. While we’re making homes better and more beautiful, much of our work involves moving walls and changing footprints. 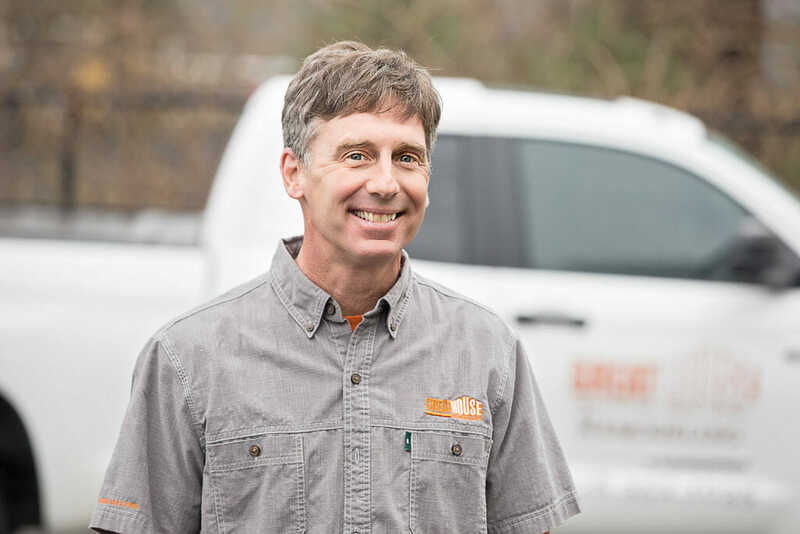 Tim brings 30 years’ experience in remodeling and architecture, backed by education. He has a master’s in Civil/Environmental Engineering from Georgia Tech, a bachelor’s degree in landscape architectural contracting, and an associate’s degree in Natural Resources. 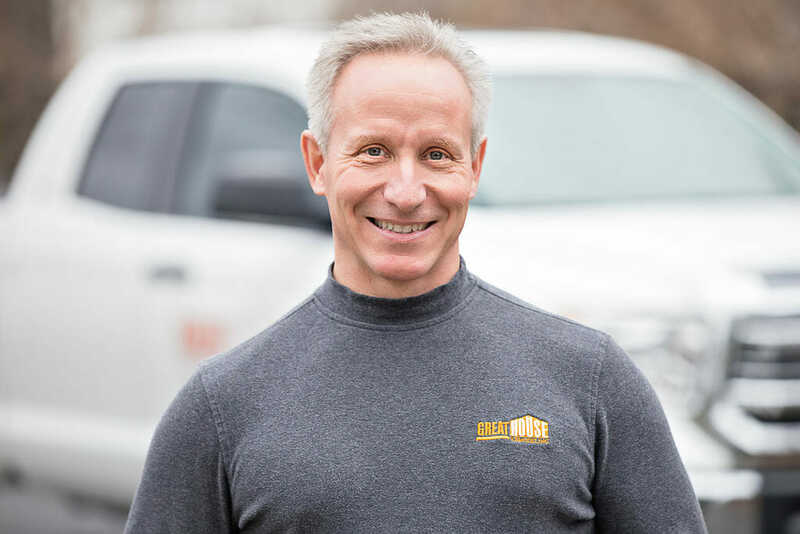 Tim provides a wealth of knowledge that makes GreatHouse succeed in completing difficult projects. Off the Job: Tim loves spending time with his wife and kids, keeping a regular exercise schedule so he can participate with them in sports. To balance that, he eats a lot of ice cream. That means we have an ice cream freezer in the office! Jennifer’s years of corporate experience and her business degree, enables her to keep everything running consistently and highly organized. She keeps the office running and her bookkeeping skills help us track our project progress with a high degree of accuracy. Off the Job: When Jennifer’s not keeping up with her three children (four if you count Tim), look for her on the tennis court. Always active, she has a knack for running, planning, and organizing community and family events. Marcie brings years of experience in organizing in corporate environments and a degree in business to GreatHouse. 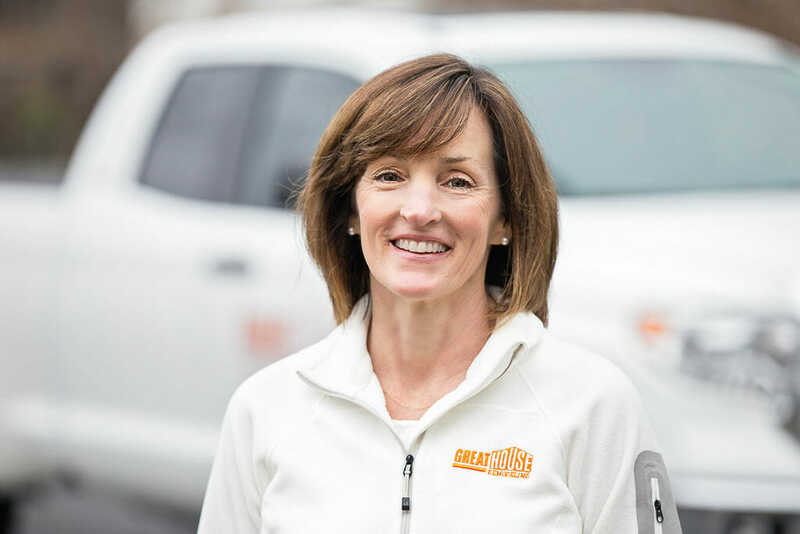 Marcie’s special talent is managing everyone involved in our remodeling projects, making sure all the pieces are in place for the successful completion. She is the all-seeing eye. 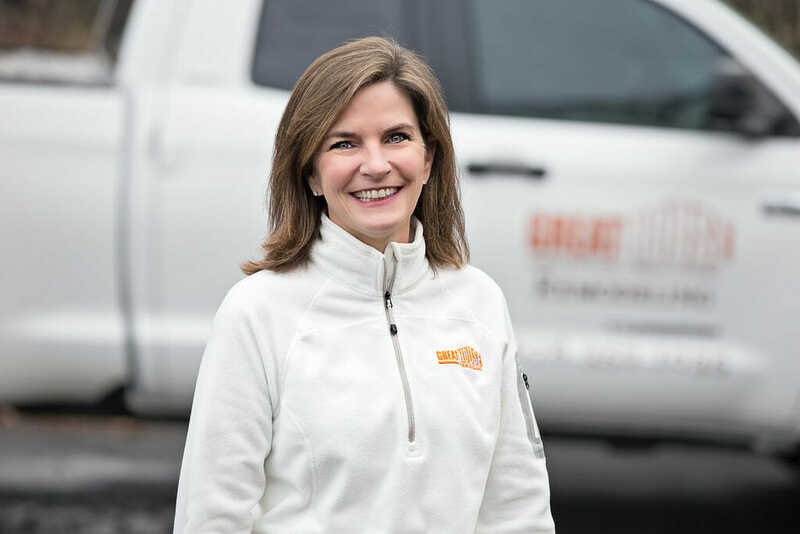 Marcie keeps her finger on the pulse of each project — in contact daily with our clients, and ensuring our trade partners are on time at the right place. Marcie knows communication is key, and she keeps everyone in the know. Off the Job: Marcie fills her time with her family and friends, always being an attentive wife, mother, daughter, and friend. She’s dedicated to helping others and being involved in the community. 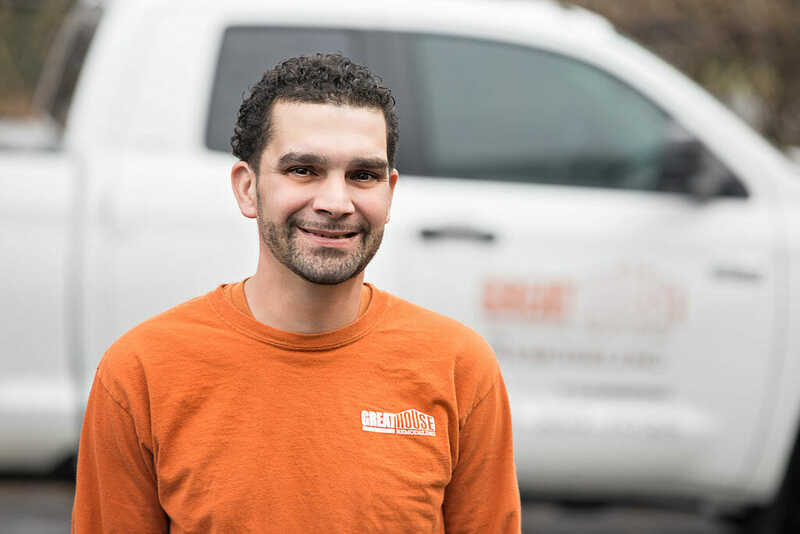 Matt brings a wealth of varied experience in construction, a phenomenal work ethic, and the skills of a true craftsman. In past jobs, Matt’s worked on commercial high rises. Just imagine sitting in a small bosun’s chair, dozens of stories up, installing windows and trim. Off the Job: Matt and his wife have two, very active, young boys. Not just a spectator, most weekends he is with his boys racing motocross or camping with the Scouts, creating memories and young men. Rod has 35 of experience in construction. 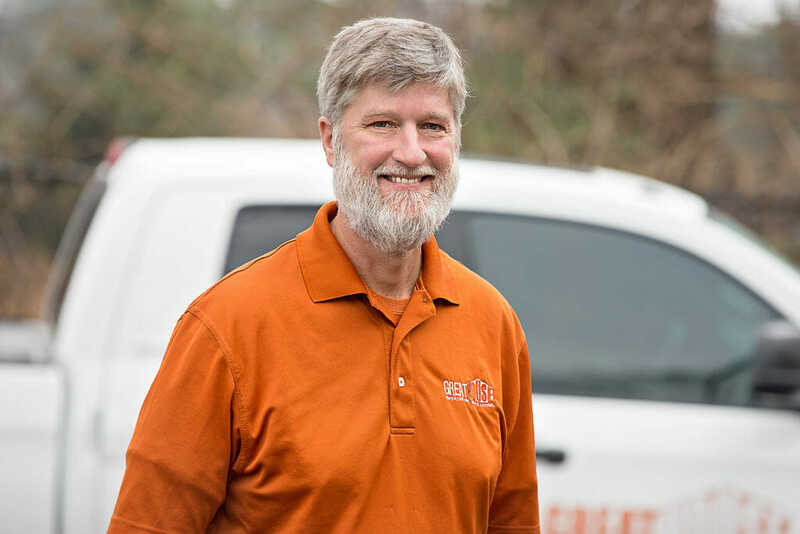 He started framing houses as a kid, then worked in mill shops building windows and doors before joining the remodeling and home building industry. His great depth of experience and careful thought shine through in his work. Count on Rod to be a true professional and great person to work with. Off the Job: Rod loves spending time with his wife and two boys. An avid outdoorsman, he enjoys hiking, cycling, and watching his boys compete in sporting events. We’re lucky to have Chino as one of our carpenters. He has extensive experience in carpentry and in multiple trades. A dedicated worker, he’s a pleasure to be around and a great help on the job site. Off the Job: With four boys, Chino has his hands full. He likes video games and has a knack for fixing almost anything (see that having four boys thing).